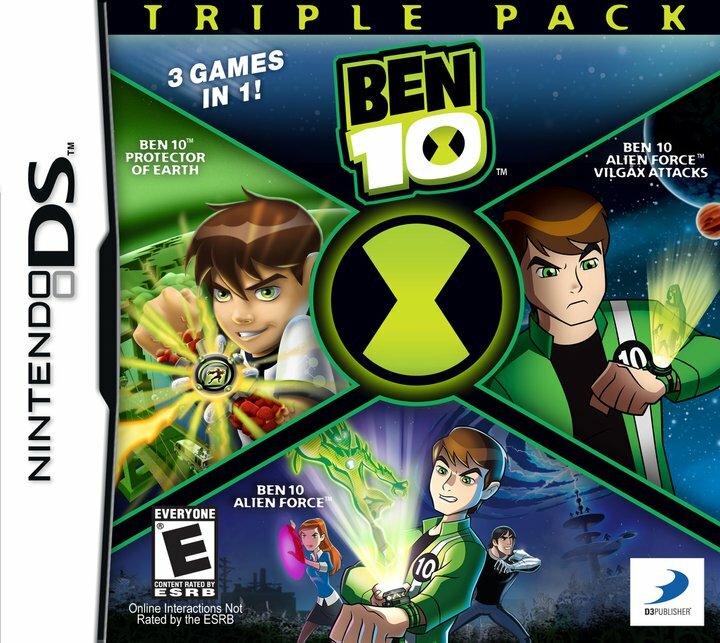 Susan Heim on Parenting: Enjoy Three Fantastic BEN 10 Games in a Triple Pack for Nintendo DS! 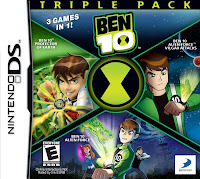 Enjoy Three Fantastic BEN 10 Games in a Triple Pack for Nintendo DS! Ben uses the power of the alien Omnitrix device to defend the world from evildoers from Earth and Space. This game is an exciting adventure that BEN 10 fans will adore as they embark on a quest to stop Vilgax and save the world! This fast-paced, action adventure offers eight playable characters, an unlimited combo system, and puzzles and challenges that will engage players of all levels for hours at a time. Players take control of Ben and ten of his most popular alien forms: Echo Echo, Goop, Brainstorm, Chromastone, Big Chill, Humungousaur, Spidermonkey, Swampfire, Jet Ray, Cannonbolt, and Upchuck to manipulate fire, harness electricity, freeze enemies and more. The hardest part of these games for my 7-year-old boys was just deciding which one they wanted to play first! They were highly entertained, and I love that they’re getting three times the fun for the price of a single game. If you’ve got a BEN 10 fan in your household, these games are a must-have for their video game and/or BEN 10 collection. Visit http://ben10thevideogame.com/ or www.facebook.com/ben10 for more BEN 10 news! DISCLOSURE: I received a product sample to facilitate my candid review, but no financial compensation was provided. The Amazon link in this post is tied to my affiliate account.